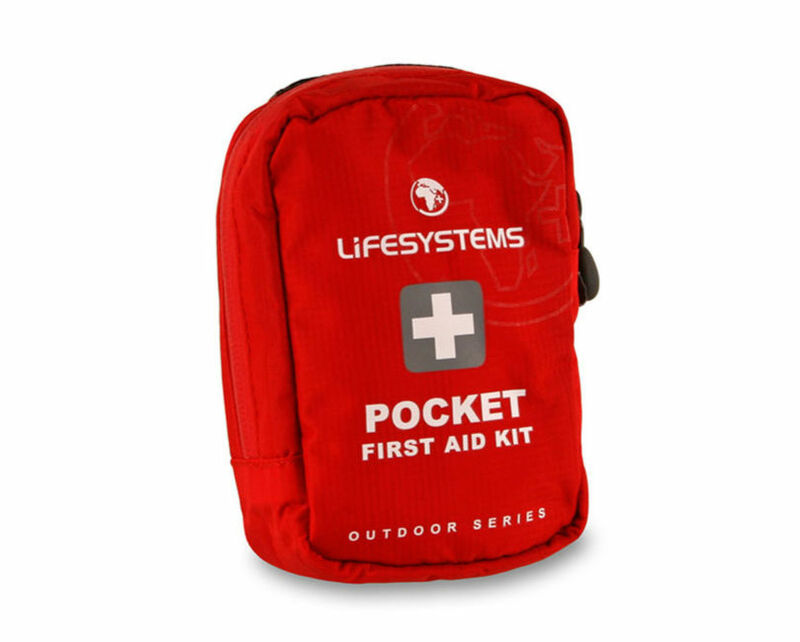 A handy size 1st aid kit, ideal for a day out on the trails, or walking the hills. 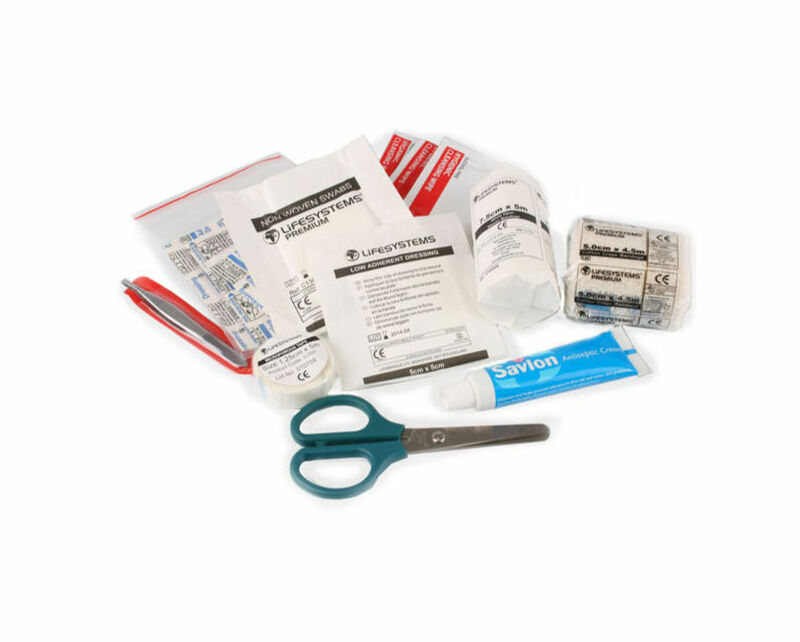 Contains scissors, tweezers, safety pins, woven and crepe bandages, antiseptic cream, swabs and wipes, Micropore tape, a 5x5cm low adherent dressing and assorted plasters! All contents are manufactured to European standards and carry the CE mark. All contained in a ripstop fabric bag with waterproof zip and a belt loop. Dimensions are 125x80x45mm and weight is only 180g. An important addition to anyone's kit list.